I love the colour gold. It’s classy, elegant and super feminine. Whether it’s on clothes, homewares or on nails, I’m sold. 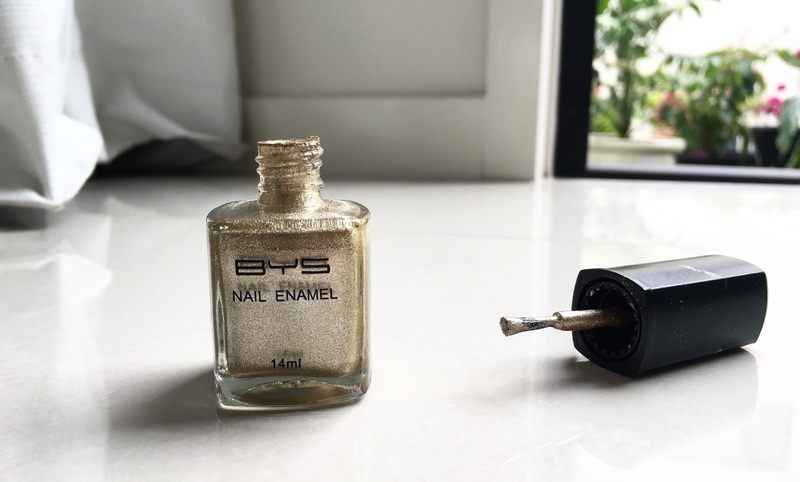 My usual go to nail colour is white, light pink or pastel colours but this winter, I’ve been loving the BYS Antique Gold Nail Polish. The last time I wore this was at my semi, four years ago and I don’t think I’ve worn this colour since. I’m not sure why I haven’t worn it after my semi because the colour is just SO pretty and sparkly and gold. I also reviewed a Confetti Party Popper Nail Polish a while ago on my blog so check it out if you want something different and fun! The colour is a gorgeous shimmery gold. It’s not metallic at all but a gorgeous gold shade. In the sun or in the light, it’s just incredible. The polish goes on smooth and dries quite quickly. I had to put on three coats to allow the colour and shimmer to come through as much as I wanted. The one thing I really like about this polish is that the colour changes (lighter or darker) depending on the lighting. Although it’s super hard to tell the true colour of this nail polish in photos, I’m telling ya, you will love it. Especially on darker / tanned skin, the colour looks very elegant and classy. I’ve put three coats of this nail polish on which allows the colour and shimmer to shine through. The nail polish itself is also super cheap and the quality is pretty good. 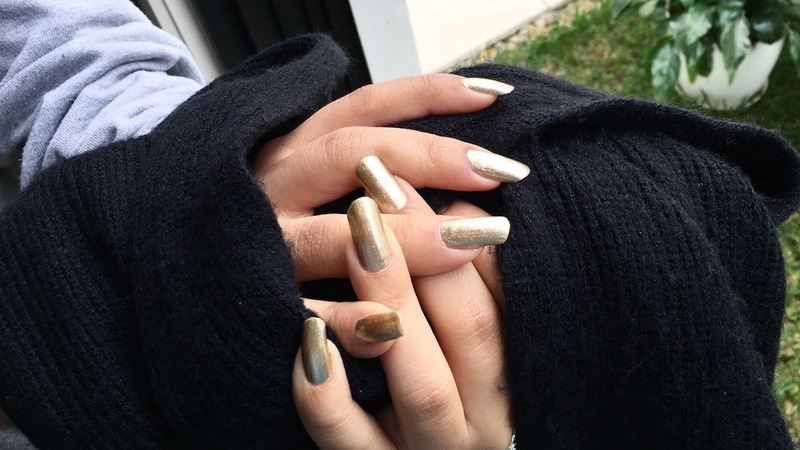 Although the nail polish doesn’t stay on for ages, it doesn’t chip too fast either – mine stays on for four days without chipping! Overall, I would highly recommend this brand and this colour for a classy and elegant look. 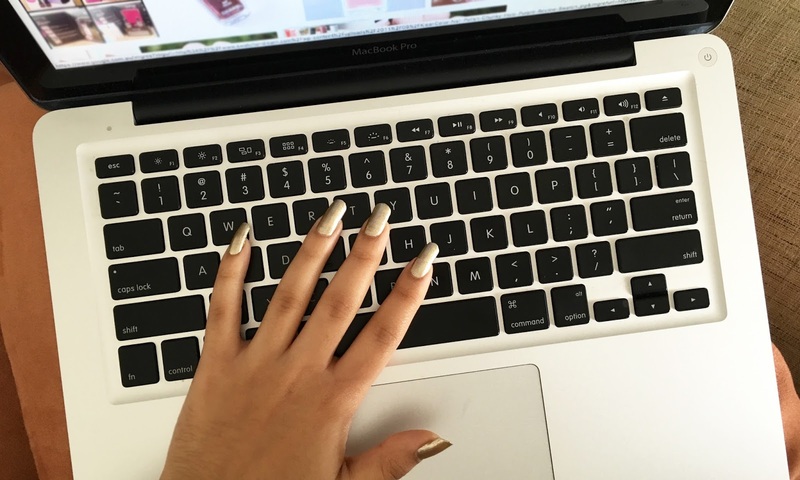 What is your favourite nail polish colour at the moment?